The implementation of the next Common Agricultural Policy (CAP) programme for the period of 2021 to 2027 “will have to be pushed back”, EU Commissioner for Agriculture and Rural Development Phil Hogan has stated. 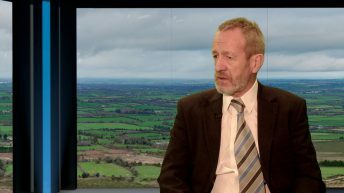 With the future of the CAP post-2020 not expected to be voted on by the European Parliament Committee on Agriculture and Rural Development until early April – just weeks before the European Elections on May 23 – Commissioner Hogan has admitted that timelines are likely to be impacted. Meanwhile, the commissioner also cautioned that the parliament’s indecision on the next policy before the elections could also have consequences on upcoming campaign trails. 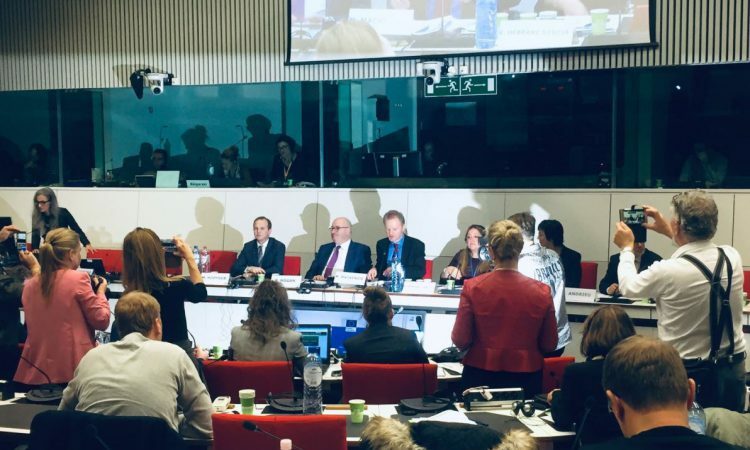 Speaking at the European Commission in Brussels this week, Commissioner Hogan outlined that under his proposals for the next CAP, there is a “doubling of ambition” in relation to climate and environmental action for agriculture. “It’s a matter now for the member states and the parliament to decide whether they agree or disagree with that and to let us know how they are going to implement the international agreements that we have signed up to on climate and the sustainable development goals. “We have set out our position. I expect the parliament will come to some conclusion in the committee on agriculture in the first week of April about what they think of those proposals and how they are going to meet our obligations on the big issues of the day in an alternative way. “And we look forward to seeing the outcome of those votes before April 8,” he said. 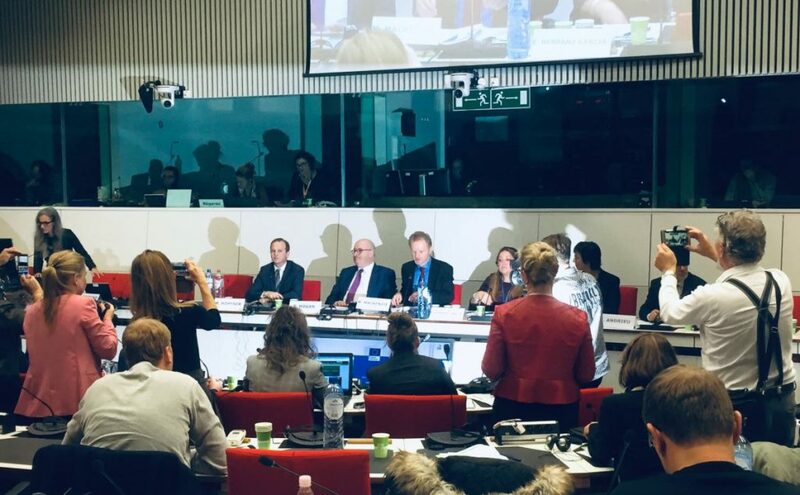 While the agri committee will vote before the election, motions tabled at committee level must wait one month before they can be brought to plenary level, at which point the matter will be voted on by the full European Parliament. Because the April plenary session will be the final plenary session of the current sitting parliament, the issue of CAP reform will have to be postponed until the new parliament is elected. Clearly, once the budget negotiations have been put back for six months, we are impacted as well in agriculture when it comes to conclusions on policy and budget, they are intertwined a little bit. 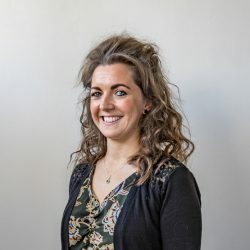 “But, nevertheless, I would have thought that in advance of the European elections that parliament – where there are candidates running for election – would want to give certainty and predictability in relation to policy and their thinking in relation to the CAP before they go to meet farmers and agri businesses. “We’ll see what the impacts will be in terms of timelines and how much extra time is needed; but it will be a matter for the next parliament,” the commissioner said. It’s certainly a tall order at this stage. I think it will have to be pushed back a little bit. “It is a matter of the political will and the goodwill of the member states of the parliament to decide if they want to do a quick deal after the elections in the autumn of 2019. “If we got an agreement in the autumn of 2019 it is possible that we would still have January 1, 2021, as the day of implementation. “But, it’s up to the political decisions of the council and the parliament – I can’t influence that,” he said.